Which cars are on your bucket list? Anyone who has been bitten by the car bug has a bucket list of cars they would love to own. That could be one car, or it could be a whole fleet of cars. I, myself, am in the latter group. I am a huge fan of Pontiacs and with Pontiac going away, it just strengthened that desire even more. I also like certain models of every American and European automaker. And yes, even a handful of Japanese cars. What cars are on your bucket list? Is it “the” car that made you drool when you were in high school? Or maybe it was from your favorite movie? Or the car your dad had when you were growing up? Tell us! Which cars are on your bucket list? Will we be passing the torch or will the fire burn? Will we be passing the torch or will the fire burn out with the next generation? Of course, I am talking about the collector car hobby and the passion for classic cars. There are a couple schools of thought. One is that the fire will burn out because kids are not into cars, especially old ones. To a lot of younger people, a car is nothing more than something that gets them from place to place. And if that can be done by bike, bus, cab, or a parent, they don’t feel the need to have a car. With this mentality, old cars would seem to be the furthest thing from their minds! It is very acceptable to have an old car that is unfinished and still show it off at car shows. In fact, patina is very desirable. The younger generation car owners have embraced the Rockabilly lifestyle. The best part is that it doesn’t take a year’s salary to get started in the hobby and these kids are having fun. 2. New cars are future hot rods. In ten years, the Mustang GT, Challenger SRT8, and Camaro SS will be very affordable. You will be able to buy a car with more than 400 horsepower that gets more than 20 mpg for under $10,000. The popularity of restomods increases every year. Having a cool old car that has new technology built in, so it has the drivability and reliability of a new corvette really appeals to a lot of people, especially the younger generations. There are a lot of old cars on the market. This could be a restoration project, restomod, survivor, hot rod, you name it. As new generations come into the hobby, they will have plenty to choose from based on their budget. 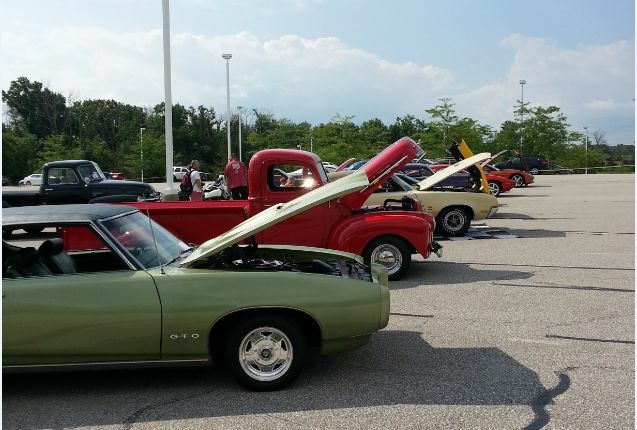 If you are in the collector car hobby, share your passion with the younger generations. Your kids, grandkids, and their friends. Take them for rides in the car. Take them to a car show with you. 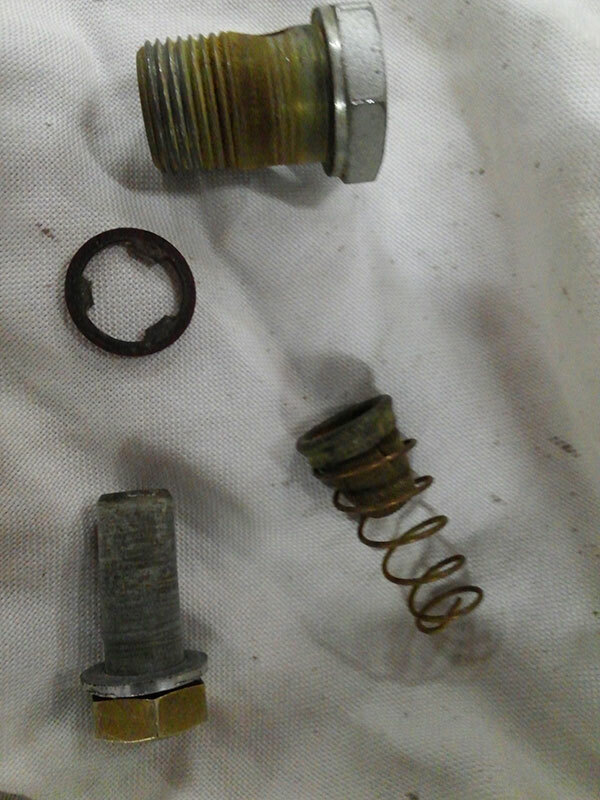 Have them help you work on the car. Let them drive your car (you with them of course). You are not sharing your car, you are sharing the passion! 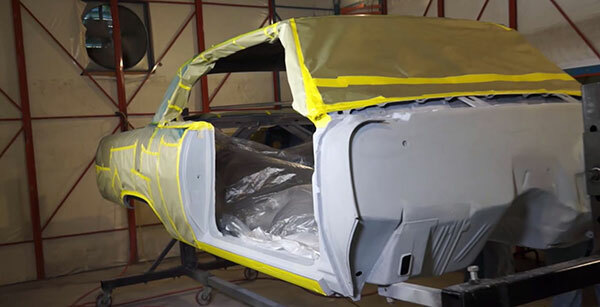 Our experienced staff of collector car specialists at American Modern have sanded and primed the body of the 1965 Chevy Malibu, and now begin to paint her blue and silver. 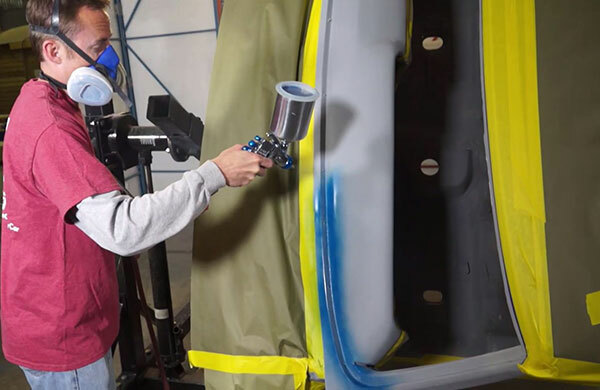 The Build team is getting ready to paint the blue, including the body, jams, windshield surround, the dash, and anything else that’s going to be blue on the inside of the car. 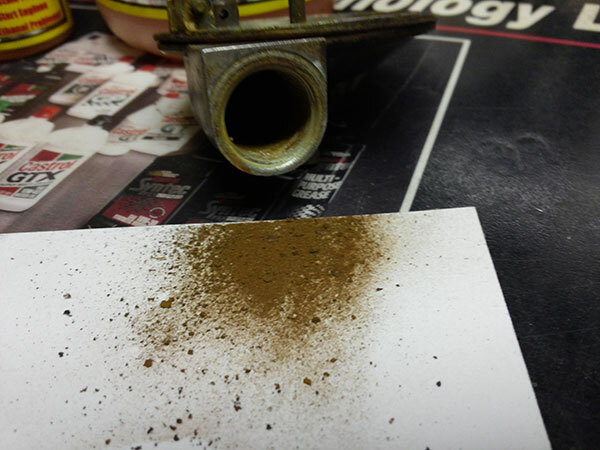 As you can see from the fluid up-and-down motion from Rob Baker, it is very important to stay at one frequency when painting the body of the vehicle. Rob back tapes the line so the paint doesn’t bleed. The tape separates the silver from the underside of the body and the door jams from the blue on the top. The tape will provide a better view of what it will look like with a stripe and provide a gauge for the different colors. Now that Rick Drewry, Rick Hardbarger and Rob Baker have cut in the blue and masked it off, they are preparing to paint the silver and cut in the jams. After that, they’ll be ready for the clear coat. If you need to know the proper way to store your car, look no further. This infographic provides you with everything you need to know. The story of the genesis of the Pontiac GTO is well known, and several of the players went on to become quite famous in their own right. The brainchild of Russell Gee, an engine specialist, Bill Collins, a chassis engineer, and Chief Engineer John Z. DeLorean, they basically figured out a way to keep a performance image for Pontiac despite the GM ban on factory supported racing. All the pieces were there – a great 389 V8 from the full-sized Catalina, a sporty Tempest platform, and permission from Pete Estes to proceed on a limited basis. Even the name screamed performance, a moniker boldly chosen by DeLorean himself. His team skirted the GM powertrain directives by making the GTO package merely an option for the Tempest, and the results speak for themselves. By 1966, Pontiac sold 96,946 GTOs, and Pontiac ruled the new muscle car segment. 1968 saw a major redesign of the A body platform, creating a more fastback profile and featuring the first of the unique Endura bumpers. With sales success by all of the GM divisions with muscle cars in ’68, Pontiac first began to plan a budget GTO muscle car for 1969. Fortunately for us, those plans changed to create “The Judge” as a full on street rocket. The name was inspired by the huge popularity of Rowan and Martin’s “Laugh In” television show, and the “Here comes the Judge” skit popularized by the popular song and dance entertainer Sammy Davis, Jr. The Judge became the ultimate powerful street machine that fueled the new performance image for Pontiac. Jim Wanger’s innovative marketing appealed to a hip, young audience, and the GTO Judge was the king of the street and the strip. In 1970, the styling of the Judge was cutting edge, with four rounded headlamps horizontally inset into the Endura bumper without bezels. Of the 40,149 GTO’s sold, 3,197 were Judge models, and just 168 of those were convertibles. The options list for The Judge continued to grow, but for 1970, rear anti-roll bars and variable ratio power steering became standard equipment. 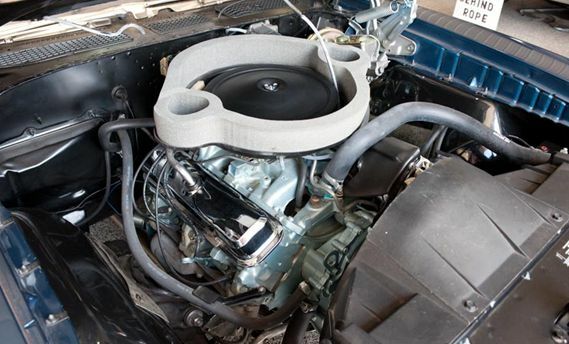 For the 1970 production year, the Ram Air III, 400 ci engines were the largest available, and with 366 bhp, the ’70 Ram Air III cars were every bit as fast as the 1971 455 ci powered cars. 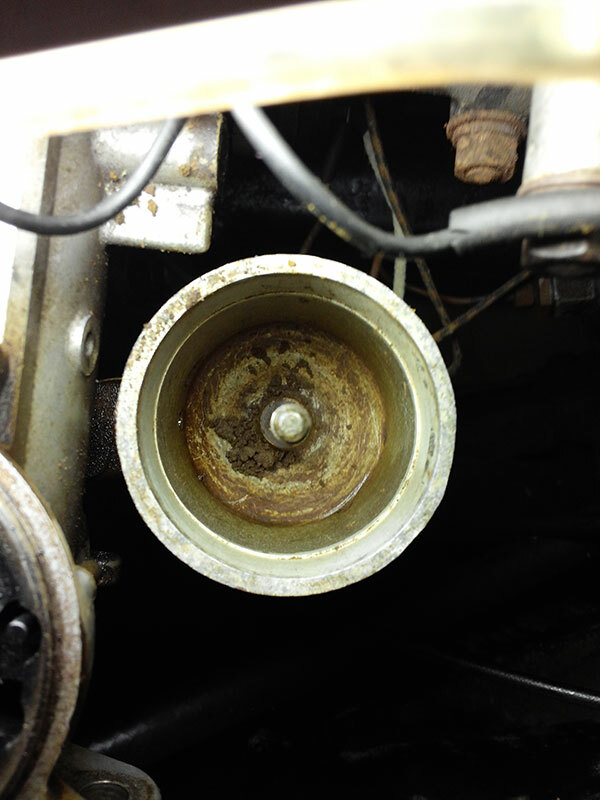 Today, the ’69 and ’70 Judges are far more desirable to collectors, due to GM’s lowering of the compression ratios on all their cars in 1971 in preparation for the unleaded fuels mandated in the US. In many ways, the 1970 GTO Judge represents the last of the true muscle car era, while incorporating some of the luxury features that the buying public was obviously demanding. 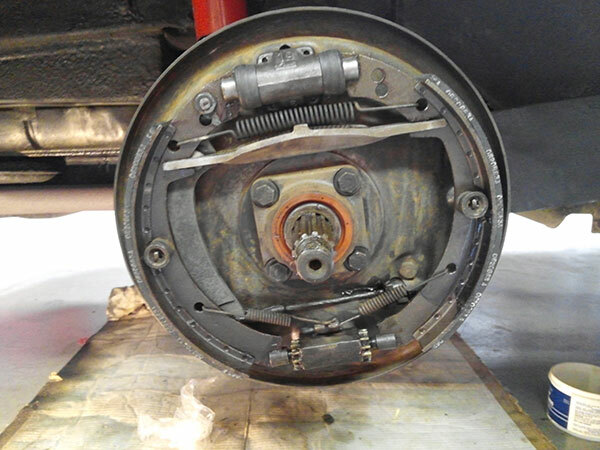 Soon, emission controls and the oil embargos would limit the demand for true performance cars, and as insurance companies began to surcharge the owners of performance cars, buyer demand shifted from brute power to a more luxurious style of vehicle. As quickly as it arrived, the muscle car era was on its way out. GTOs are fast, powerful, and fun. 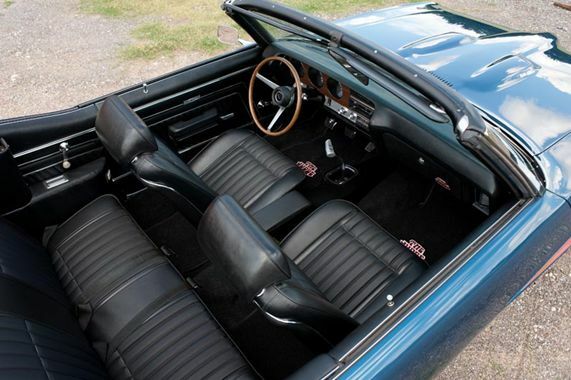 In particular, the 4-speed convertible Judge models lead the way in value appreciation among all muscle cars. Their wild paint schemes and aggressive styling represent the best of the era, and owning a great Judge convertible should be on every car guy’s bucket list.